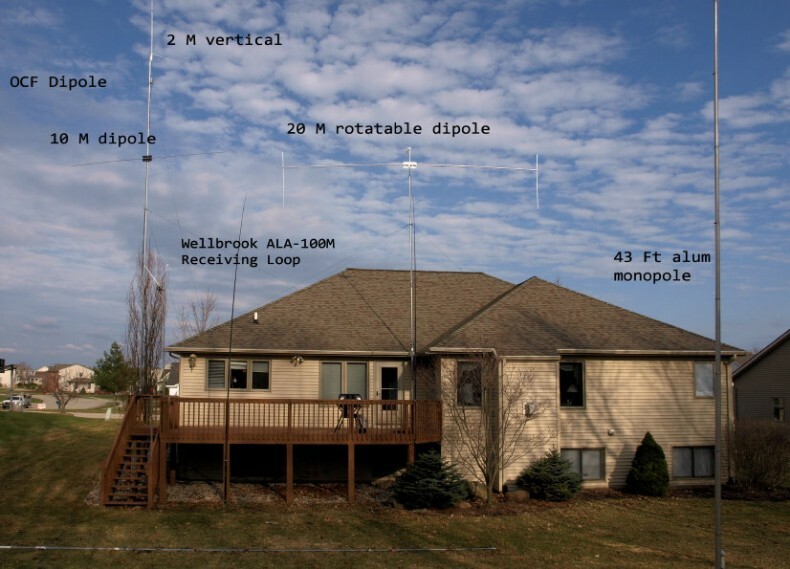 33 foot 40 meter groundplane with 65 ground radials - which can be converted back to the original 43-foot monopole with 4:1 Un-Un (DX-Engeneering DXE-MBVE-1 with tilt base and 65 ground radials. My station is has gone to the birds! 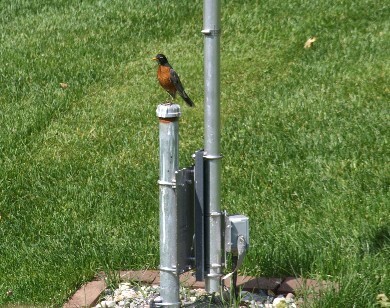 Above Left - Robin roosting on the base to my "big stick" vertical antenna. 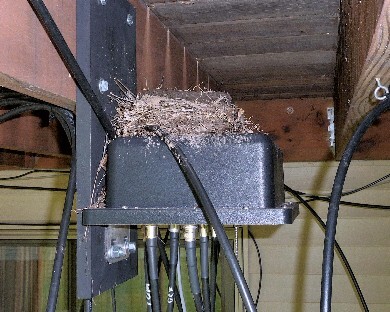 Above Right - DX-Engineering remote coax switch, with robin's nest. 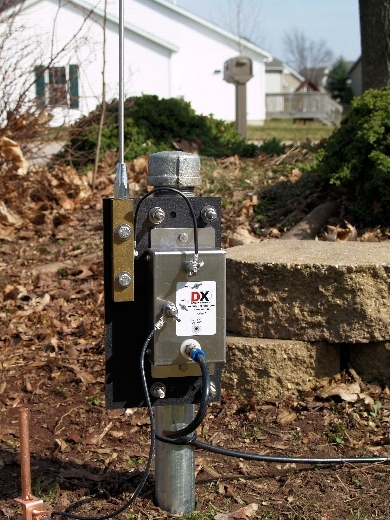 Left - DX-Engieering Active Receive Antenna in my front yard. 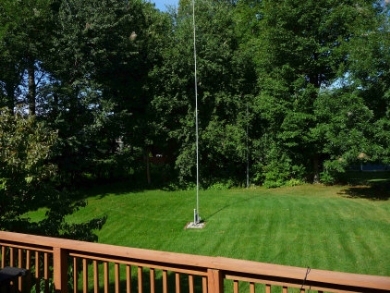 This stealthy, low profile, quiet active receiving anenna does a good job and is a nice addition to my transmit antennas, especially when running a separate second receiver as a panadapter using N4PY or other computer control software.